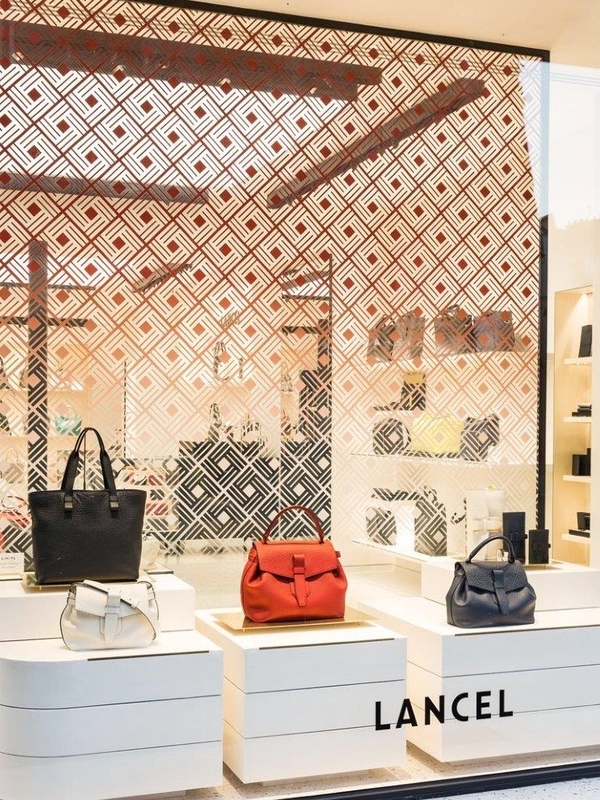 For the opening of the new Lancel boutique, I was asked to create a window scheme that reflected and enhanced the new store concept and architecture. The decor had to highlight the windows glass backwall, allowing natural light to enter the interior whilst tempting customers with a glimpse inside the store. I used the brand's new graphic pattern with transparent and opaque areas to create a modern and refined window scheme.